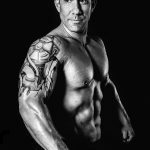 Coming off the massive weight loss we saw with my 6 Week Body Transformation Program I’ve been experimenting with my clients lately and I’ve stumbled upon a better way to burn fat and increase muscle tone for them. And I think it might be something that you’d be interested in…Maybe? I’m talking about a complete fat burning workout in just 30 minutes, 3-4 days per weeks instead of the 60+ minute workouts that people do in the gym. …but muscle tone is all about having lean, long, firm muscles that look great and function well. That’s the kind of muscle that you want – not the big bulky kind. Now the reason I mention this is because this new type of working out that I’ve discovered requires more than just cardio training… it’s all about working your body against resistance. BUT the big problem with doing resistance training and then cardio training is that it takes WAY too much times… like over an hour per workout 5-6 times per week. But I’ve come up with a way to get your resistance training AND your cardio training at the same time so that you get the best of both types of training in under an hour AND you’ll actually burn MORE fat even hours after you’re done training. That may sound crazy to you, but there’s actual science, and plenty of it backing this type of training. The old way of training is called “steady training” training. Like when you get on the treadmill or stationary bike and go at it for a period of time, or if you were to go to the gym and workout out with weights at a steady pace. Now the thing with Steady State training is that it will burn calories…. …but the calories you’ll be burning won’t be much compared to the new type of training that I’ve discovered. On the other hand there’s something called “the after burn effect” which is a state that your metabolism goes into that allows you to burn calories for up to 48 hours after your workout. Now, for After Burn to take place you need a few things to happen during your actual workout – which does not happen during traditional steady state training. And that’s the magical thing that I’ve stumbled upon – a new way to put you into After Burn and help you burn more calories during your actual workout AND for as long as 48 hours after your workout. Here’s the thing… these workouts are challenging, but always fun and fast (about 30 minutes long). So what’s the secret? Well it’s a combination if HIIT (High Intensity Interval Training) mixed with Active Rest periods and Exercise Stacking. Together these three things not only help you burn more calories while you’re working out, but you keep burning more calories several hours after your boot camp session thanks to the “After Burn Effect”, which DOES NOT happen with steady state training. HERE’S THE BEST PART OF ALL! You can see really amazing results in only 21 days – talk about a great jump start to a fitness and fat loss program just in time to get your body set for summer! Put in 3-4 days a week for the next three weeks (21 days) you’re going to burn more fat, boost your metabolism, tone up your body from head to toe and have a LOT more energy. And to give you even faster results I’m going to give you the Jump Start Nutrition Plan so that you can get better and faster results without having to guess what foods to eat and which to avoid. The Jump Start Nutrition Plan is a ready to use, follow-along meal plan that takes all the guess work out of “dieting” and makes it a LOT easier to eat right, burn fat and tone up. Like I said, the program starts Monday Feb and goes for 21 days. – And fun, challenging workouts combined to give you resistant training to build muscle tone and to burn fat, inches and pounds. 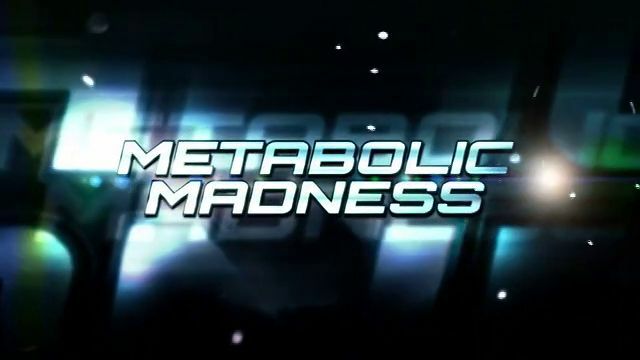 The entire cost of the 21-Day Metabloic Madness program is ONLY $147 $97. We currently have a wait list for private sessions but there’s currently room for 12 dedicated people in this program, and since I’m sending this out to my entire subscriber list, you need to hurry to claim one of the spots. Again, click the link above or just call me at 818-766-888 or email me to claim one of the 12 spots. PS: When you sign up today you can STAR EARLY! That’s like getting an entire week for free! ===>>CLICK HERE to secure your spot and start burning fat! 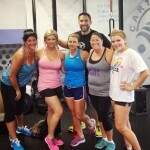 PPS: I know you are busy, that is why I have created 2XR training. That is also why we have over 25 session times. NO EXCUSES – JUST RESULTS! The Bootcamp times are shown in RED, the Youth Training times are shown in BLUE.